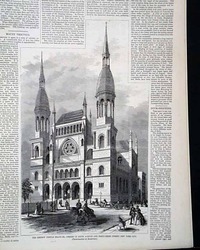 HARPER'S NEW MONTHLY MAGAZINE, New York, November, 1868. 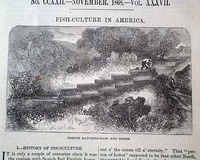 The front page has the beginning of a multi-page article: "FISH-CULTURE IN AMERICA", which has considerable text and related illustrations in regards to the controlled raising and breeding of fish. 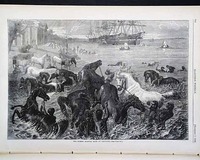 A background history of Pisciculture is included. 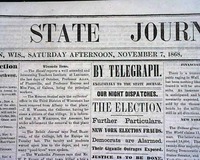 WISCONSIN STATE JOURNAL from Madison, Wisconsin and dated November 7, 1868. 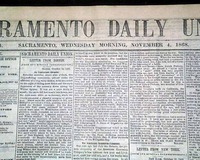 This 4 page newspaper is in good condition due to the use of cotton and rag paper during this time in history. 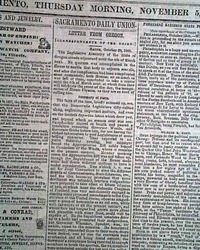 This issue has news of the day and interesting advertisements which gives a good idea how life was back then. 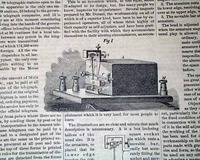 As the title would suggest, this is a newspaper devoted almost exclusively to the world of telegraphy. 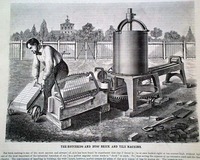 Although not a new invention at this time, it was when use of the telegraph was expanding rapidly around the world. It's modern equivalent might be a computer magazine. 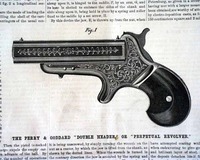 This 16 page issue is in nice condition and contains illustrations, accompanied by text, of the latest inventions of the day including: "The Perry and Goddard 'Double Header,' or 'Perpetual Revolver'", and "Double Seated Lock Safety Valve". 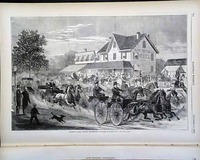 SCIENTIFIC AMERICAN, New York, November 25, 1868 This 16 page issue is in nice condition and contains illustrations of the latest inventions of the day including the following: BRICK & TILE MACHINE - WAGON BRAKE - CARRIAGE POLE - STEAM PUMP & more. 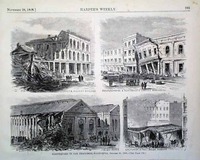 These illustrations also have related text.